Great projects start with quality materials. Count on Sunroc to deliver the perfect aggregate blend to meet your project’s specifications – with a commitment to deliver on-time, every time. Our aggregate materials are manufactured to meet common project specifications. We offer road base, fill, washed aggregates, gravel, and sand, for sale for all of your project needs. Need a smaller load? Buy sand and gravel from us. We offer pickup from our Cedar City and St. George quarries. Please call 435-673-0510 for more information or to place an order. Calculate the approximate amount of rock product needed for your project. 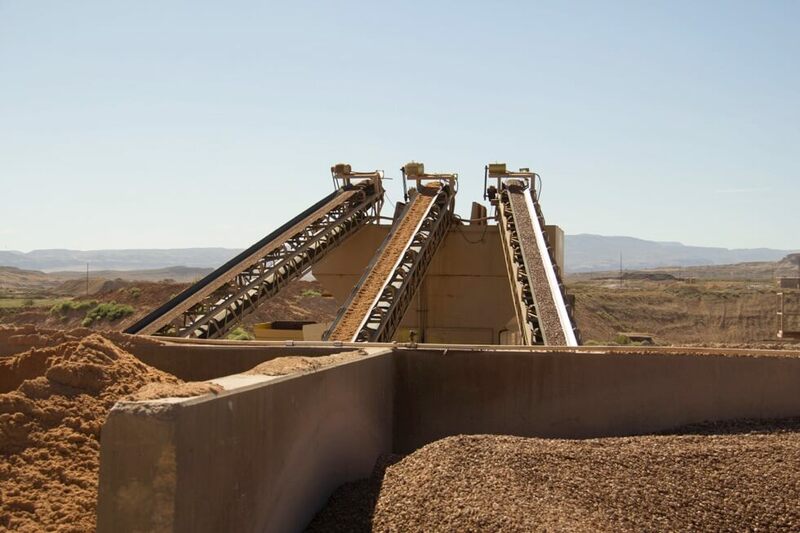 Sunroc provides onsite crushing and screening of concrete, asphalt, gravel, and various rock material for Southern Utah and Nevada. Our portable crushing equipment includes a crusher, screening plant and conveyors to process these materials into various sizes depending on the customer’s specifications. We are happy to convert what could be a waste product into a reusable product for the project owner. In addition to recycling the material on-site, the aggregate can also be sold or traded with other nearby projects, as appropriate. For more information on aggregates or portable crushing, contact us.